Portrait of Charles Wilkes about the time he commanded The South Seas Exploring Expedition. 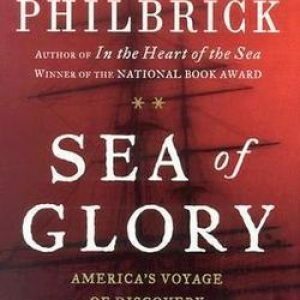 Nathaniel Philbrick’s “Sea of Glory: America’s Voyage of Discovery” should be on every commander’s reading list and also in every business and government schools’ syllabus. And all of this is taking place before heading to sea. All this also is going on while not having settled a basic question, what do you want to accomplish over what period of time if and when you ever leave port. Second question unanswered: should the “scientifics” even be aboard. The junk the will be collecting takes up space on cramped warships. These are Navy ships after all, not merchantmen. Navy priorities, first, foremost and forever. 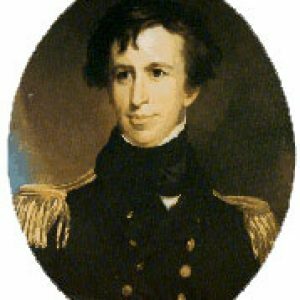 Oh yeah, to get to sea at long last with far fewer “scientifics” aboard than originally planned and still fuzziness in orders and timetables, the secretary of War, not Navy, chose the commander — Wilkes, who had little time at sea, much less as a skipper of ship and none as a commodore of a squadron. A novelist couldn’t make this story up. Although Wilkes was raised by an aunt and saint [not kidding], Elizabeth Seton, he was known as the “Stormy Petrel,” which gives the tar brush to seabirds. His pettiness, petulance, pretensions and vindictiveness reached epic heights almost as soon as the small squadron set sail. All his flaws of character and all the flaws of character of the other officers and the “scientifics” were magnified by their long time afloat. When it was over: Imagine court-martial after court-martial, technically a fifth administration in office [although William Henry Harrison’s month-long tenure boosted the number] uninterested in what the expedition discovered and a Congress unwilling to pay for publication of its findings and a number of “scientifics” totally incapable of putting down on paper their findings even if money were available. Yet despite all the bullying, hubris, hatred and self-serving actions and writings — toxic from top to bottom over and long after the voyage, the long-delayed great “South Seas” exploring expedition had more than its share of successes. Here are a few: eventually proved Antarctica was a continent, charted large sections of the Pacific Ocean, solidified the United States’ claims in the Pacific Northwest, mapped important lands in Oregon and California and brought back to Washington a rare and extensive collection of flora and fauna that became the backbone of the Smithsonian Institution’s natural history collection. The first question for discussion is how did the good to great achievements survive the bad to horrendous leadership. Long ignored after his return to the United States, Wilkes was a proven martinet and known to be rash to the point of recklessness. In the Civil War he almost launched a shooting war between the United States and Great Britain when he ordered the forcible removal of two Confederate commissioners and their secretaries from mail packet Trent on the high seas. An immensely popular move in the North and reckless beyond imagination. Lincoln chose to fight one war at a time — against the Confederacy. By the end of the Civil War, Wilkes was a flag officer. The second question for discussion how did Wilkes rise in leadership positions with all that baggage?